American politician, inventor and Founding Father Benjamin Franklin once said, “By failing to prepare, you are preparing to fail.” With the proper preparation, your business can avoid failure this hurricane season. The Atlantic hurricane season starts on June 1 and runs through November 30. The National Oceanic and Atmospheric Administration (NOAA) has predicted a near-normal season this year with 9-15 named storms, 4-8 hurricanes and 1-3 major hurricanes (category 3 or higher). The unpredictability of these powerful storms speak to the importance of preparing. It’s no secret that hurricanes can cause catastrophic damage and disrupt the day-to-day operations of your business. 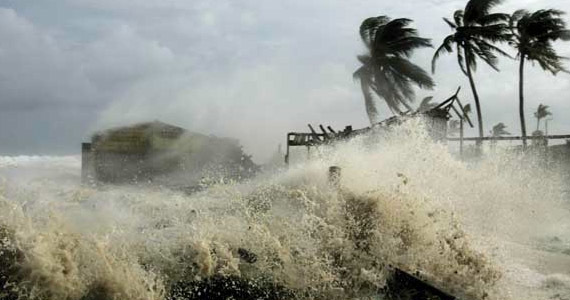 In fact, last year’s hurricane season caused over $21 billion in total damages. It’s important that every business has a continuity plan in the event of a disaster. In this article, you will be provided with some key steps that you must take to prepare your business for a natural disaster. When it comes to preparing a business continuity plan, you will have to keep the nature of your business in mind. For example, the approach that a manufacturing type business would take would differ from that of an intellectual property type business. A manufacturing business’ revenue generation might be tied to a facility and if that facility is still running after a storm hits. Consider what your business does and tailor accordingly. Listed below are some important steps to take to prepare for hurricane season. 1. Make decisions in advance about when you plan on shutting down (if necessary). This is impacted by what you want to accomplish after the storm passes. 2. Have a communication plan with your employees in place. Evacuation plans can change at the blink of an eye according to variable circumstances, but a communication plan will give your employees an agreed upon schedule of when they should contact you. Your employees are your most important asset, so it’s vital to have communication with them. 3. Be sure to make all backups before you do and test them to ensure they are good. Test restores are a good practice. (This service is included in 3coast’s Encompass Elite IT Support service.) It’s also a good idea to have a backup that can restore the entire server and not just files. This is called a Bare Metal Restore (BMR). This helps for rapid recovery if the hardware is damaged beyond repair. Make sure that your backups and backup software will support and are configured for a BMR. As previously mentioned, if your equipment is unrepairable this allows you to buy new hardware and bring it back online using backup tapes instead of having to install individual programs. 4. Utilize Cloud backup services like those offered by 3coast. These services are great for making sure you have a copy of your data. It’s recommended that you make both a local and cloud copy of your server data. 6. Document the layout of your network (network addresses, router and firewall configurations). 7. Move devices away from windows or other vulnerable areas. If possible, remove them from the premises entirely. If moving them is not possible, power down and unplug all machines. Move any electronics off of the floor and cover them with heavy gauge plastic bags to prevent water damage. 8. If at all possible, forward your main number to a cellular phone or alternate number. It is recommended you do this before the storm hits because phone service providers will be overwhelmed once the storm made landfall. Helpful Hint: If you internet connectivity is interrupted because of the storm, use routers or firewalls that operate on a cellular connection. This will buy you some time until internet connectivity is re-established. Hopefully this article provided you with some steps that you can take to ensure your business isn’t interrupted when a hurricane hits. You can also contact the experts at 3coast for help with your business continuity plans, cloud based backup services or any issues that arise with your IT. Be safe!